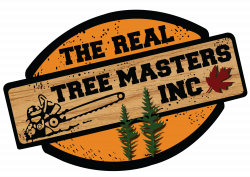 Find jobs, post your resume, and connect with the nation's best tree care employers. Timberscapes is a quickly growing tree care company located in Georgina. We are seeking new crew members with tree care experience either as a climber or grounds person. Valid G or D licence and own transportation is required. A good candidate would; love to work out doors even in inclement weather, be able to work at heights, be willing to work long hours, operate various equipment (chipper, skid steer, chainsaw etc. ), work as a team and be eager to learn. Wages dependent on experience ($20-$28/hr). Full time seasonal (April - December). Job Description Capella Tree Service is a full service tree care company committed to the preservation and health of our urban canopies. We are located in Wellington County serving South Central Ontario. We are currently seeking grounds crew that are motivated and eager. Excellent communication skills and previous experience working in the tree care industry is an asset. We have well paying positions available. More information about our services and practices can be found at https://capellatree.ca Job Summary Capella Tree Service is looking to hire grounds crew. Responsibilities and Duties Daily duties include the clean-up of brush, carrying heavy pieces of wood, operating a wood chipper, and general clean-up. All work is completed in a safe and controlled manner. Qualifications and Skills Certification or training in arboriculture is an asset. Support to the crew leader and crew Assist drivers with pre and post inspections and checks as required If you have specialized driving capabilities then drivers responsibilities in the yard, job sites and back at the yard. Capella Tree Service is a full service tree care company committed to the preservation and health of our urban canopies. We are located in Wellington County serving South Central Ontario. Job Summary Capella Tree Service is looking to hire climbing arborists. Responsibilities and Duties Daily duties involve the pruning or removal of trees. Pruning is done to the ISA Best Management Practices. All work is completed in a safe and controlled manner. Qualifications and Skills Certification or training in arboriculture from a community college or equivalent is an asset. 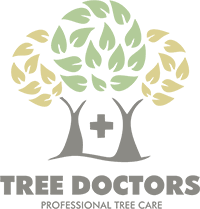 Previous experience working in the tree care industry is required if formal training has not been obtained. 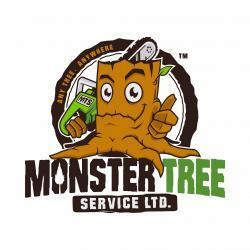 Job Types : Full-time, Contract Salary: $50,000.00 to $60,000.00 /year Required experience: wood chipper: 1 year chainsaw: 1 year tree climbing: 1 year Required education: High school or equivalent Job Location: Guelph, ON Required license or certification: Class G or DZ Driver’s License with a clean driving record. looking for a climber to join our crew. Experice preferred but we are willing train new graduates or partially trained climbers. Competitive wages depending on qualifications and experience.